Why are simple shaving blades so damned expensive? That's a question I find myself asking every morning as I'm shaving and getting ready for work. So i did some research and if Gillette's to be believed, it's because a ton of money has gone into the research and development to come up with new blade models. How much you ask? For example, coming up with the Mach 3 cost a whopping $750 million. Big numbers for the Gillette corporation mean little to an ordinary guy like me. I have to shave every day... sometimes even twice a day, if i'm meeting clients in the evening. A single blade cartridge lasts about 5 shaves for me, which means a new blade every 4 days. That's about 8 blades a month! Don't get me wrong... I love the Gillette Fusion. It gives me the closest shave, almost as good a shave as the straight razor you can find in the barbershop, without the hassle! That said, as much as I love the Gillette Fusion, i needed to reduce the damage to my wallet. So, I began scouting around physical retail stores as well as online ones, and believe I've found the best option. 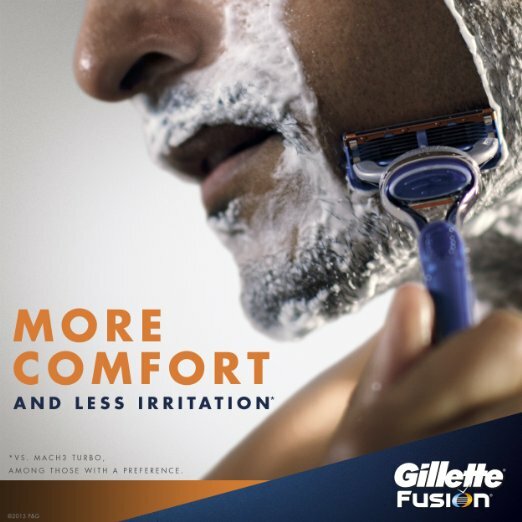 Here's something people don't realize - the price of the Gillette Fusion blade refills varies from retailer to retailer, and in some cases, the difference can be quite significant. Case in point, Walgreens is selling the 12-pack for $42.29, last i checked. 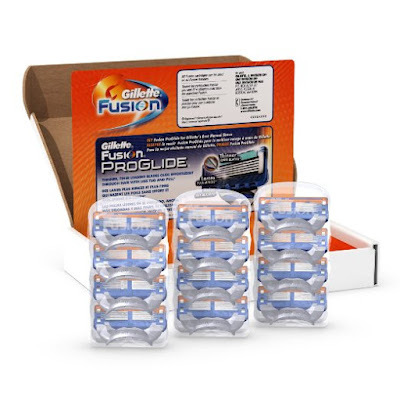 On the other hand, Amazon is selling the 12-pack refill for only $33.31! By buying from Amazon instead, you'll be able to save $9 each time you buy a refill, which is a hefty 20% off Walgreen's price. To top it off, you could save an additional 10%, and reduce the price to $30, if you purchase another 4 product subscriptions. Now, you must be wondering why these blades are so cheap when they retail for as much as 30% more at the store. Well, these blades are cheap because of the no-frills packaging. 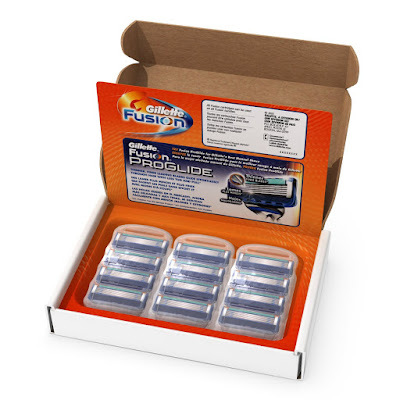 Instead of the fancy anti-theft packaging that we're accustomed to, these refill package blades come in a plain white box. As for the quality of the blades, they shave as well and last exactly as long as the ones bought from the store. I couldn't tell any difference. I came across some cheaper options, around $28, over on eBay but I went with Amazon since I already had a 5 item subscription with Amazon, making the difference in price only $2 after the further discount. Another swing factor was my prior positive experience with Amazon. Hope you've found this Life Pro-Tip useful and that it helps you save some money getting that clean shave! In full disclosure, there are a couple of affiliate links above. Just want to thank all of our readers again for their help to keep the site going. Much appreciated!